A vintage industrial side table with stout proportions. The frame and vintage style wooden top combine to create a warm industrial feel. 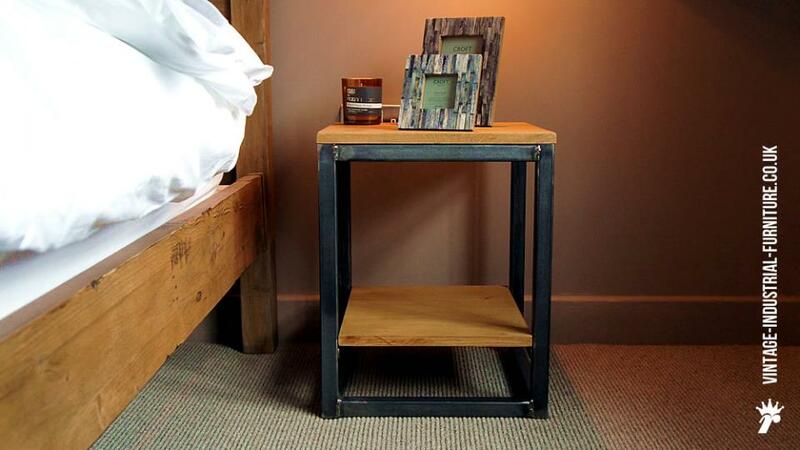 Many bedside table designs are boring a predictable. 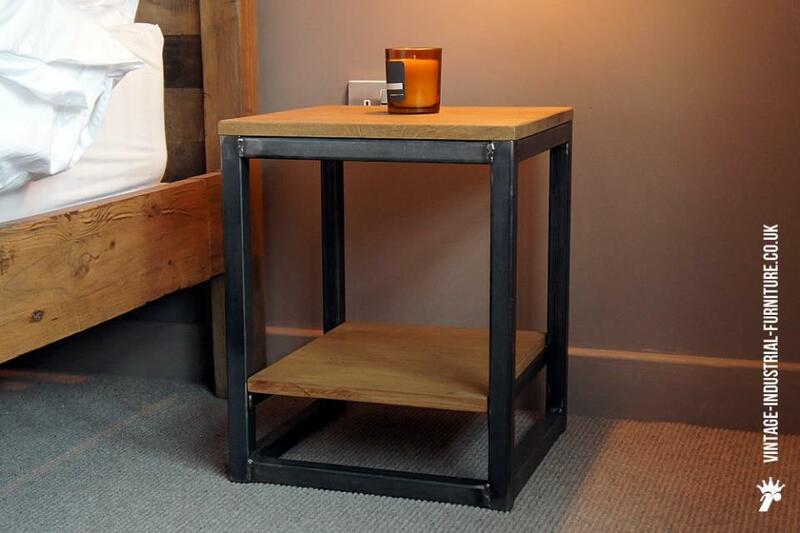 Our vintage industrial side table makes a statement whilst still being practical for everyday use. The top is of solid oak wood finished in a high quality lacquer which not only shows the beautiful wood grain but also offers protection.